Welcome to the first newsletter of the FISSAC project! The FISSAC project involves stakeholders at all levels of the construction and demolition value chain to develop a methodology, and software platform, to facilitate information exchange that can support industrial symbiosis networks and replicate schemes at local and regional levels. FISSAC will demonstrate the applicability of the new industrial symbiosis model as well as the effectiveness of the processes, services and products at different levels. 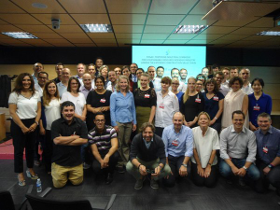 The project brings together 26 partners from nine countries and is coordinated by Acciona Infrastructures. More information on the project itself can be found at: www.fissacproject.eu. Browse the newsletter to find out more about the latest progress since the project kick-off in September 2015 and see how you can get involved in future project activities. The construction sector is the largest consumer of raw materials in the EU. The FISSAC project’s ambition is to improve the efficiency, competitiveness and sustainability of the extended construction value chain by establishing industrial synergies that allow waste or by products from other sectors to be used as secondary raw materials. Therefore, one of the first tasks was to establish a network of stakeholders that may be interested in the FISSAC model to foster future replicability in other countries and regions. In this context, a study was conducted within the FISSAC project to better understand the technical requirements of ten waste streams generated from six industrial sectors and applied to four construction sub-sectors – all over Europe. The report focused on those countries where a specific sector is of great relevance, or where the final applications will be demonstrated. The technical requirements were classified into physical, chemical, mineralogical, mechanical and environmental for subsequent use within the FISSAC work programme. This analysis will help FISSAC partners to identify those critical characteristics needed for the manufacturing of the target materials and products, as well as the quality standards and the environmental regulatory framework (emissions, content and release of pollutants). The results of this study will be utilized by the upcoming activities of the project. RINA SERVICES S.p.A. is the RINA company that delivers services of classification, certification, testing and inspection (TIC Services) to guarantee excellence to organisations in the marine; environment and energy; infrastructure, transport and logistics; quality and safety; and agri-food sectors. Environmental performance of new products (Eco cement and Green Concrete, innovative ceramic tiles, rubber wood plastic composites) will be evaluated within the FISSAC project according to the EU Environmental Technology Verification (ETV) Pilot Programme. RINA Services, as an accredited ETV Verification Body, will be in charge of the ETV process, participating in other FISSAC’s tasks that are connected with the verification process, and will be in charge of task 3.5. Environmental Technology Verification. Hifab is a project management company based in Sweden with focus on the building sector. Hifab has experience of working with industrial symbiosis regionally, with actors from different sectors, such as the food industry and energy production. They focus on using the industrial symbiosis mindset to get environmental, economic and social benefits. Working on non-technical barriers is one of their strengths. Within the FISSAC project they can combine their skills in the building sector and industrial symbiosis; this gives them the opportunity to develop their project management company and integrate their consultancy services. Leading the industry with the broadest product ranges in Turkey, AKG Gazbeton performs manufacturing under three main product categories including block products, reinforced products and Minepor Insulating Board. In FISSAC AKG will demonstrate eco-innovative solutions in the re-use of industrial waste materials through industrial symbiosis across sectors including steel, chemical, aluminium, minerals, cement, ceramics, and glass. They will work towards closing material loops by driving innovation across design of products/new materials and development of new material recovery methods. AKG anticipate the FISSAC Project will allow cost effective secondary raw materials and alternative binders, reducing in the cost of raw materials per m3 of AAC products. Each year in Europe an estimated 2.25 mega tons of flat glass waste is generated from building refurbishment, demolition and also offcuts when windows and facades are manufactured. Although glass can be infinitely recycled back to glass, most of the glass waste from construction and demolition ends up as aggregate in roads, or in landfill. Flat glass may be just a small percentage by weight of construction and demolition waste – but the potential carbon dioxide (CO2) savings to be made by recycling it are big. Each tonne of virgin raw materials replaced by waste glass (cullet) saves 230kg of CO21 – so re-melting cullet to make new glazing, containers or fibre glass is much better, environmentally, than putting it into roads or landfill. 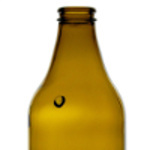 Glass manufacturers already use all the cullet they can– and want more. But to go into a glass furnace, cullet cannot be contaminated by materials such as stones or bricks. Currently it’s rare that glass from refurbishment and demolition sites is collected in a way that keeps it free of contamination and suitable for re-melt. That’s one thing we’re setting out to change through the FISSAC project. Glass that can’t be used to make new glass can still be recycled to replace virgin raw material in other building materials, with economic and environmental benefits. That’s why the FISSAC project is also trialling addition of post-consumer glass to cement products to make construction materials. To increase flat glass recycling in Europe we need two things: cost-effective ways to collect and transport waste – as far as possible without contamination, and increased awareness that flat glass can and should be recycled, and how to do it. British Glass and Glass Technology Services lead the FISSAC work on glass. They have been reviewing existing studies and working with stakeholders to better understand current practice and barriers. 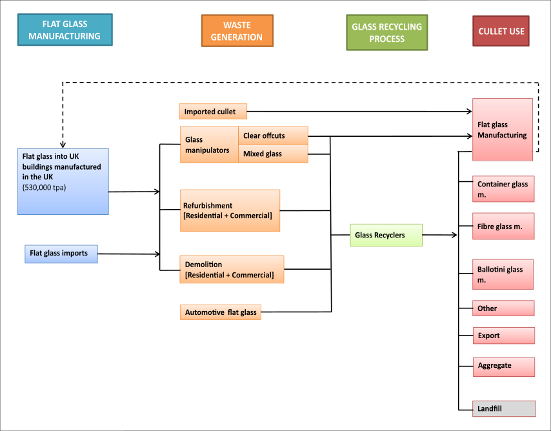 This has helped create a flat glass flow diagram for the UK. From this foundation they’ll be working with stakeholders across the supply chain to identify how much glass is going where, and finding the best points for intervention. experts in the field of circular economy, industrial symbiosis and sustainable construction. ACR+ was invited as a speaker to the European Demolition Association Annual Convention which took place in Glasgow, on 9-10 June. The talk focused on best practices and lessons learnt in industrial symbiosis examples and summarised the findings from the sixth project cases compiled by FISSAC partners. Projects’ conference which took place in Brussels, on 20 April. 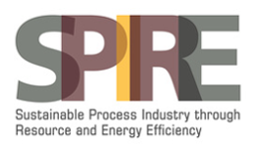 The conference disseminated the latest progress of SPIRE projects to a broad audience of stakeholders, the European Commission, supporters and sustainable process/ resource efficiency industry members. It also helped address possible synergies that can support the projects to deliver their objectives. Tecnalia will be attending the 8th European Slag Conference in Linz, Austria on 21 October. They will talk about the “Analysis of the application of ladle furnace slags from steel-works, of low and high alumina in masonry mortars”. The FISSAC project was featured in “My European City” documentary which was broadcasted on national Turkish TV channel. EKODENGE will be attending the International Sustainable Built Environment Conference ”Smart Metropoles” in Istanbul, Turkey on 13-15th of October. They will talk about moving ”Towards a more sustainable construction value chain for sustainable cities”. TECNALIA and ACCIONA Infrastructures are participating in the four-year H2020 HISER project. The main objective of HISER is to develop and demonstrate innovative solutions for higher recovery of raw materials from evermore complex construction and demolition waste (C&DW) using circular economy approaches. This project has recieved funding from the European Union’s H2020 research and innovation programme under Grant Agreement N °642154.